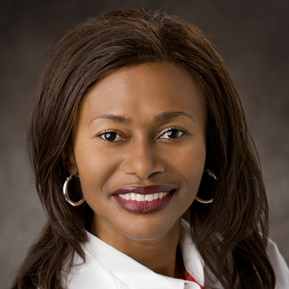 Marilyn Appiah, DO is board-certified in Obstetrics and Gynecology. She is accepting new patients for routine well women exams, pregnancy and delivery care, hormone management, and gynecology-related problems. Dr. Appiah is a medical school graduate from the Oklahoma State University College of Osteopathic Medicine and completed her residency at Akron City Hospital and a fellowship at Meridia South Pointe Hospital in Ohio. Dr. Appiah’s Moore Care for Women clinic is located at the Norman Regional Moore facility, 700 S. Telephone Road, Suite 401 in Moore, Oklahoma.